To develop a game which was addictive, fun and engaging to be used over the Christmas period. 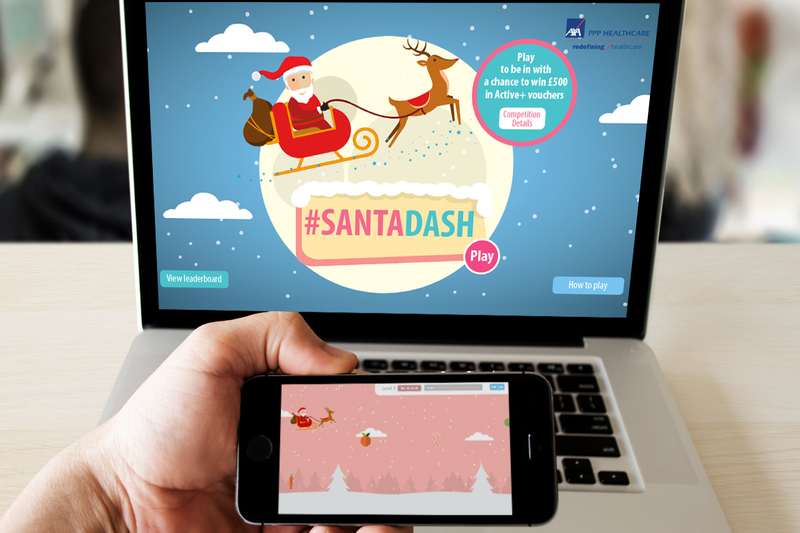 We developed a mobile responsive game called #Santadash which was built in two weeks from design through to build. It’s Christmas Eve and Santa needs energy to travel the world and deliver all the presents - the more good, healthy food Santa eats, the more his energy increases and the quicker you will be able to complete the journey! 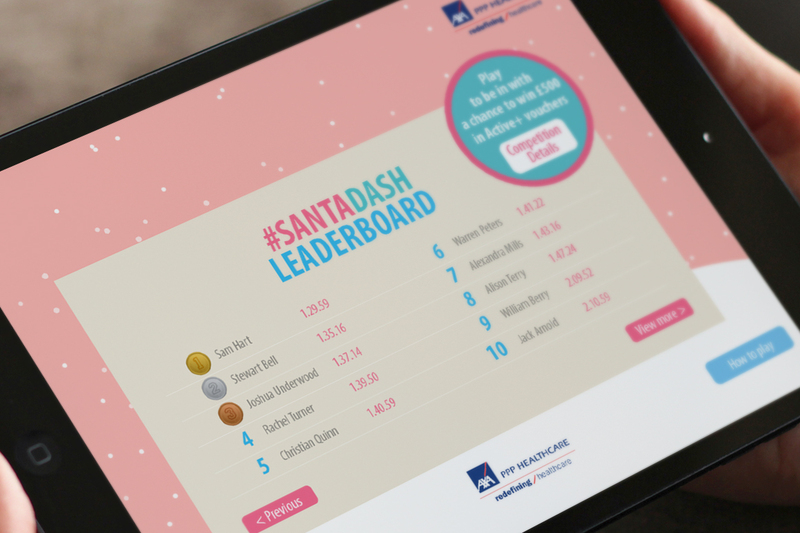 The player who completes the game in the fastest time will win the top prize of £500 Active+ vouchers.